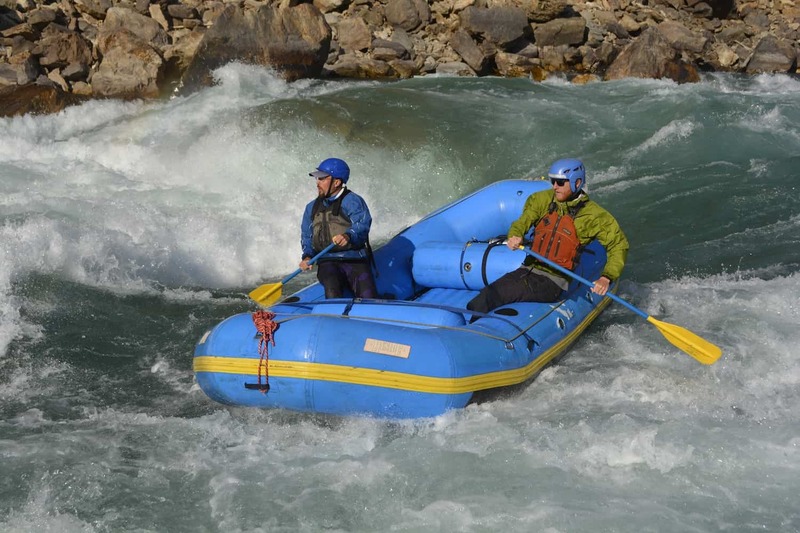 What is a rafting expedition? To us a whitewater rafting expedition are a multi-day trip (over a week or more) that travels off the tourist path and into the real Nepal. It allows us to truly embrace our love of nature and our love of whitewater. Any rafting expedition in Nepal is where we leave the comforts of home behind and truly get out on the live out on water. Every expedition we take all our food and all our camping, cooking, and rafting/kayaking gear. We load up with everything we will need to travel, raft and live on the river. Our professional team spend some serious packing time before we go and head for the river. With every expedition comes an adventure and we here at Adrenaline Rush love each and every expedition trip. 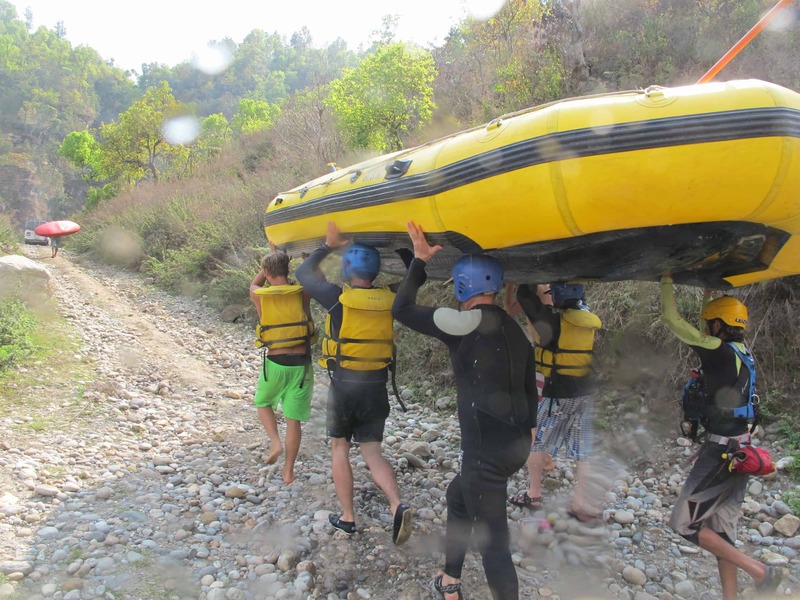 What should you expect on a Nepal Rafting Expedition? When you book a rafting expedition in Nepal you are in for the trip of a lifetime. Every rafting expedition starts with the rugged journey to the river. In Nepal this takes time and patience. Actually in Nepal most things take time and patience. Most rivers required a lengthy road journey (which can sometimes be cut down by short flights) or even trekking to get to the river. During these journey we cover vast distance over Nepal, through changing cities, climates, and cultures. Every bit of the journey is part of the adventure of it all. But ultimately we are here for one main thing; the river. Each night we will work together setting up our riverside campsite, cook amazing meals, and embrace the beauty of the land. Each morning we will pack up and begin our journey anew on Nepal's wild rivers through changing scenery and excellent rapids. One most trips there is a rest day where we stay at one campsite for 2 nights. This is a great time for exploring local villages, short day hikes, and just sunning by the river. Will you love a rafting expedition? Leaving the world behind and signing up for a rafting expedition here in Nepal is not for everyone. As with most of life's adventures a sense of fun with a healthy dose of humor will get you a long way. People who tend to love these trips most are true outdoor enthusiast, camp lovers, adventure travellers, and of course whitewater lovers. Serious whitewater enthusiast please contact us if you are interested in a R2 trip down on of our rivers.